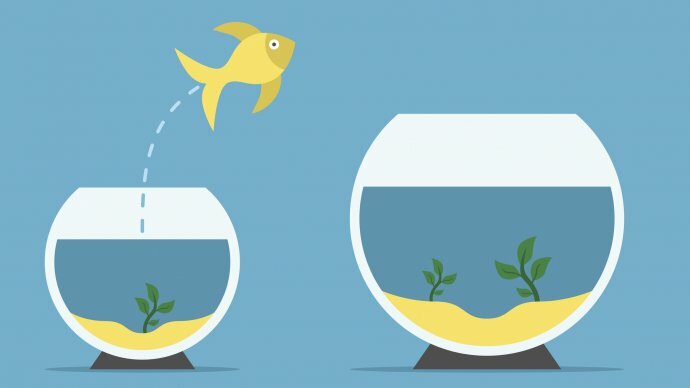 During PERFORM2Scale, African organisations in each state are paired with partners from Europe who support them in the delivery of the management strengthening intervention. 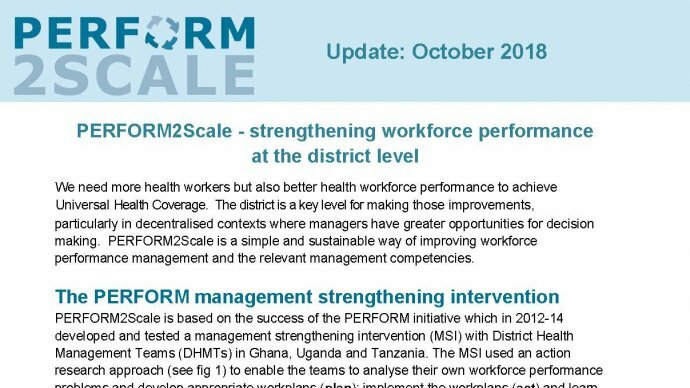 Makerere School of Public Health is leading on PERFORM2Scale in Uganda with support from Liverpool School of Tropical Medicine, UK. 21.03.19 - The Ugandan team from Makerere School of Public Health is about to attend the annual Consortium Workshop in Accra, Ghana. 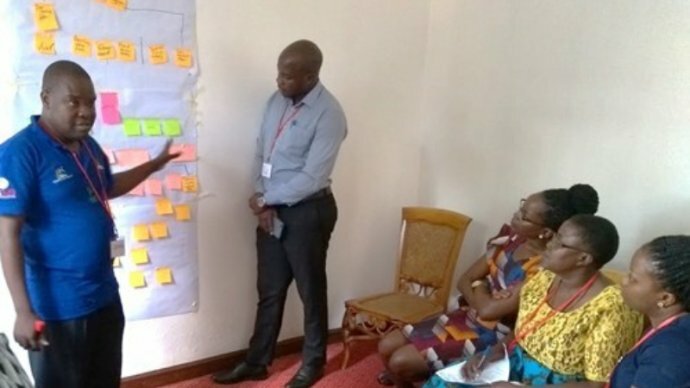 During this week, team members from all of the partners will gather to take stock of where we are with regard to the implementation of the Management Strengthening Intervention at district level; the process of scale-up of the intervention; and the research activities to develop new knowledge in both these areas. This will be followed by a week's writing workshop. Check out the twitter feed and news section for progress updates. Also, for up-to-date information on the Ugandan intervention please see the resources section below. 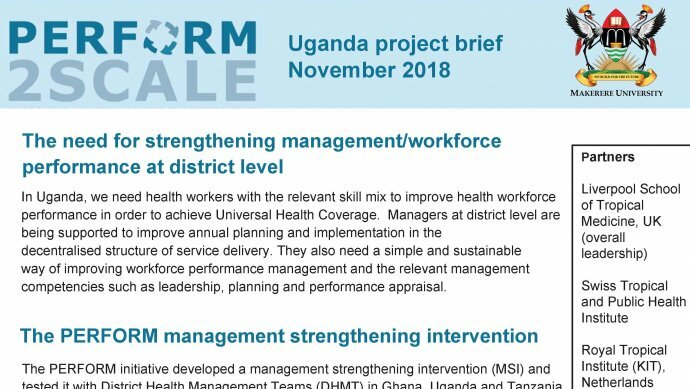 Blog post on PERFORM2Scale’s first management strengthening initiative to improve health workforce performance in Uganda. In workshops District Health Management Teams analyse problems and develop strategies to address priority problems. This brief outlines the theory of change (ToC) for the PERFORM2Scale project.